Climax and Willamette castings in 1.6" scale. Nice site picturing the stages of building a live steam Climax model. Climax Locomotives in Australia - prototype & model info. Preserving the history of the geared locomotives that were designed and built in New Zealand for its bush tramways. Building a 1.6" scale live steam version of Medford Corporation #7 ... "Down Under" style. 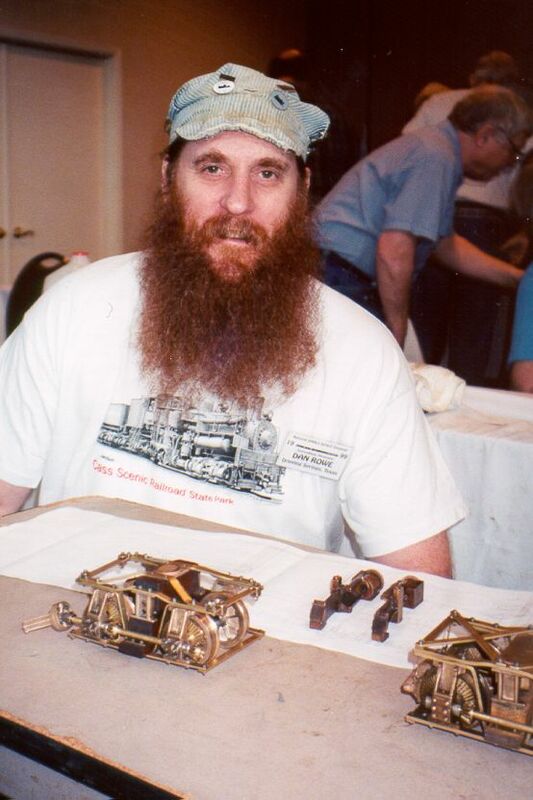 Nice site picturing the stages of building a live steam Shay model + more geared locomotive info. "Your On-Line Reference and Research Site for Shay Locomotives"
Shays, Heislers, Climaxes and Rod steam locomotives used in Canada. Ephriam Shay's own logging railroad with photos of his own Shay locomotive. Mountain State Railroad & Logging Historical Assn. Shay movies & still photos - Mt. Emily Lbr. <> Kettle Valley Ry <> Mt. Rainier - Nice POTB Diesel photos. Rare ALCO 415s. Steam locomotive photos (thousands), rosters, and data in a uniquely user friendly format. The Bush Tramway Club Inc. Climax c/n 1694 - "A Locomotive Resurrected"
Heisler pending restoration. Duluth, Georgia USA. One video with Sumpter Valley RR's Heisler and a 2nd on Mt. Rainier Scenic. Video on "Cass & Mower Logging Trains", "Steam Shortlines of the South" that has Shays, and a 3rd, "Steam in the 50's Vol. 3..." that may include one or more geared steamed locomotives. Videos on Mt. Rainier Scenic and Cass Scenic Railroad's geared locomotives. Videos on several logging railroads that utilized geared steam locomotives. "Geared Triple Header" - Mt. Rainier Scenic video with Shay, Heisler, & Climax. Model railroad logging site with Climax, Heisler, & Shay photos. "How To" pages included. 1:20.3 scale fictional model railroad utilizing Dunkirk and Climax locomotives. Dedicated to several 30" gauge prototype logging railroads. Geared locomotive photos also. Logging and railroading in and around the "Land of Lassen" - Shay photos of Fruit Growers Supply Co. & much more! Educational site on Sawmill operations. History of the one of the largest logging rail networks in Northwest Pennsylvania. Geared locomotive photos. Live steam club in Maryland, USA. These steam models are the BIG ones folks. They have a nice page, "How Does It Work", detailing the parts of a steam locomotive and their uses. Some FUN! The Coramba Creek Timber Company's Railway - a garden railroad "down under" style. How Steam Engines Works - Marshall Brain's "Howstuffworks"
Largest NTrak model railroad club in the world. Thousands of railroad images archived from the alt.binaries.pictures.rail news group. 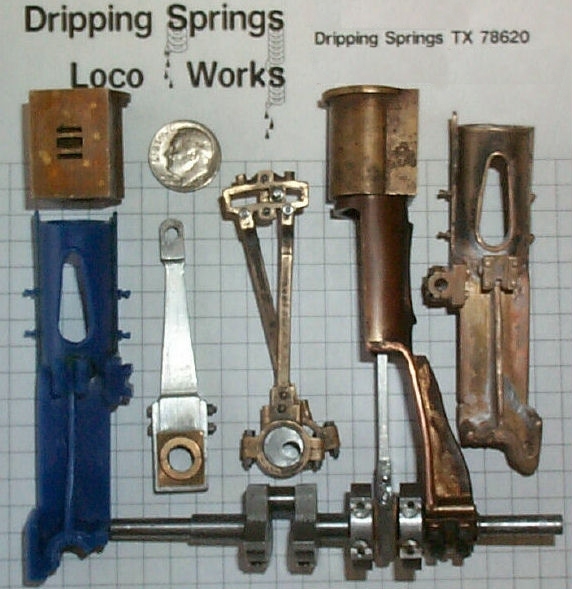 "Resource Site" for small scale live steam locomotives and "Pop-Pop" boats. Site of the publication of the same. Great site for Garden Live Steam model enthusiasts. Beware... this site will "hook" you on Live Steam ! Photos of Climax, Heisler, & Shay steamers. Steam Central - "Your source for News of Steam Preservation & Operation"
The Colorado Narrow Gauge Steam "SUPER SITE" - The Home Page for the "Narrow Minded"
Steam Engine Boiler Anatomy - Cut-Away photos of a locomotive style boiler. Steam Engine Valve Gear On The Computer - Valve gear simulation software free to download.